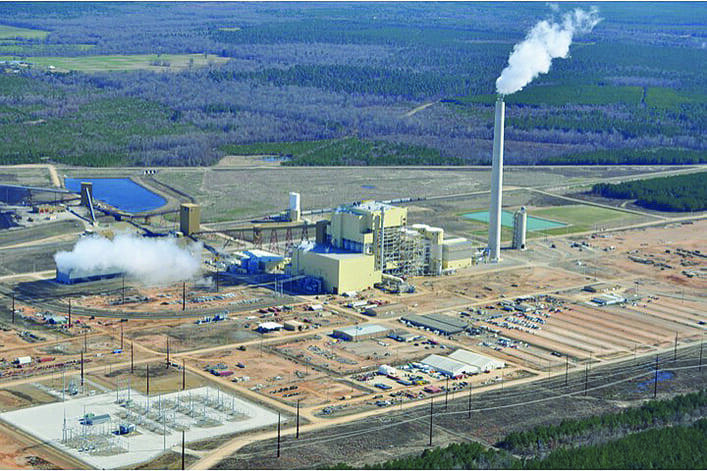 The new 600-MW John W. Turk, Jr. Power Plant owned by American Electric Power’s (AEP) Southwestern Electric Power Co. (SWEPCO) is located on a 2,800-acre tract near Fulton, in Hempstead Country, Arkansas, about 20 miles northeast of Texarkana. The Turk Plant, the first modern plant in the U.S. to commercialize ultrasupercritical (USC) boiler technology, was officially declared commercial on Dec. 20, 2012. Commissioning of the Turk Plant culminated almost seven years of legal, regulatory, and construction work to bring the $1.8 billion project—the most expensive project ever built in the state of Arkansas—to completion. SWEPCO operates in Louisiana, Arkansas, and Texas, with headquarters in Shreveport, La., and owns 73% (440 MW) of the Turk Plant. The plant is co-owned by the Arkansas Electric Cooperative Corp. (70 MW), Oklahoma Municipal Power Authority (50 MW), and East Texas Electric Cooperative (40 MW). The plant’s namesake is John W. Turk, Jr., president and chief executive officer of SWEPCO from 1983 to 1988 and a pioneer in the use of Powder River Basin (PRB) coal for power generation. The plant is classified as supercritical because the main steam pressure is above the thermodynamic critical point of water (3,208 psi), where water ceases to boil but moves directly from liquid to superheated steam. The plant, somewhat arbitrarily, becomes classified as USC when the main and reheat steam temperature exceeds 600C (1,112F), much higher than conventional subcritical steam plants. The result is a more efficient power plant with lower air emissions. The Turk Plant thermal efficiency is ~39% to 40% (net), compared with 35% for a boiler operating at subcritical steam conditions. Carbon dioxide emissions are also reduced: USC technology produces ~0.97 tons/MWh compared to subcritical plant emissions that average ~1.06 tons/MWh. The Turk Plant was built to serve as the principal source of low-cost, baseload electricity for SWEPCO. However, not every stakeholder was satisfied with that decision. Shortly after SWEPCO announced the project, it became a target of a national anti-coal campaign and of organized opposition from local groups with land holdings near the plant. 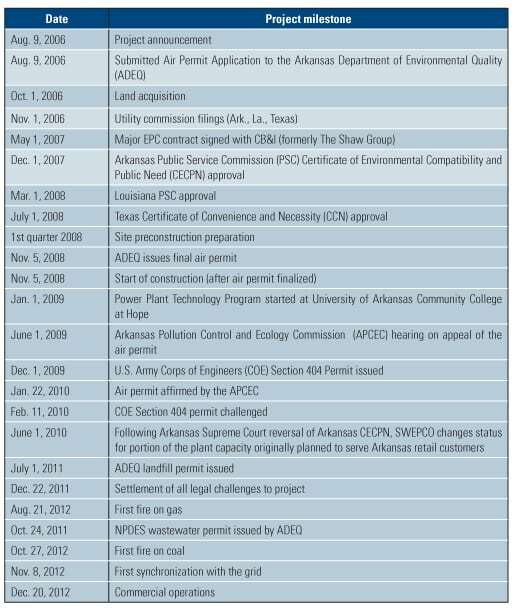 Virtually every regulatory and environmental permitting decision was challenged, first in the regulatory process and then in the judicial system. 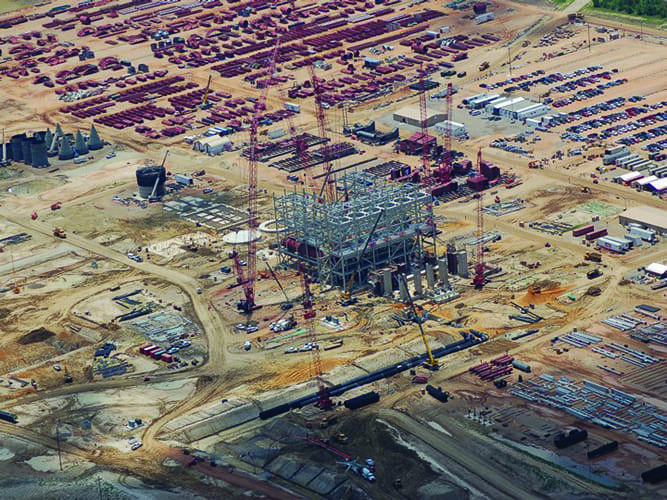 The litigation played out in a high-profile public battle for nearly four years, until December 2011, when a key settlement was reached that required SWEPCO, among other things, to reiterate its decision to phase out a 528-MW coal-fired unit in Texas, build or secure 400 MW of renewable power, and not build any new additional generating units at the Turk site (and within a 30-mile radius) as long as the Turk Plant is operational. 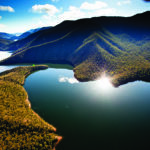 The settlement was aided by increased public pressure in support of the project and the lack of local opposition. The settlement cost SWEPCO $10 million, which it agreed to contribute to support land conservation and clean energy in Arkansas, as well as $2 million in attorney fee reimbursements to the environmental groups. SWEPCO also agreed, in return for a resolution of all environmentally based legal challenges, to combust only coal from the Powder River Basin in Wyoming or subbituminous coal with similar low-sulfur characteristics. These settlements cleared the way for the plant’s completion and commercial operation. “This is a milestone addition of very efficient generation during SWEPCO’s 100th anniversary to help meet the growing energy needs of all SWEPCO customers, and we heartily thank our many supporters of the project these last six years,” said Venita McCellon-Allen, SWEPCO president and chief operating officer. The structure of the project team that designed and built the Turk Plant has become more common in recent years, particularly for those utilities with in-house engineering capability that are comfortable building advanced technology power plants. Instead of placing responsibility for the entire project with a single turnkey construction company, AEP selected contractors and suppliers and let each build its portion of the plant under separate contracts. It’s a reasonable balance between project risk and the cost premium for a single conventional engineering, procurement, and construction contract. AEP retained responsibility for a portion of the plant’s infrastructure development (such as the railroad spur). The Babcock & Wilcox Co. (B&W) supplied and erected the USC boiler and the plant’s complete air quality control systems. That contract was based on a firm fixed price (FFP) for the equipment supply and a target price arrangement on erection, with certain incentives. Alstom Power supplied the USC steam turbine and steam turbine–driven boiler feed pump under an FFP contract. 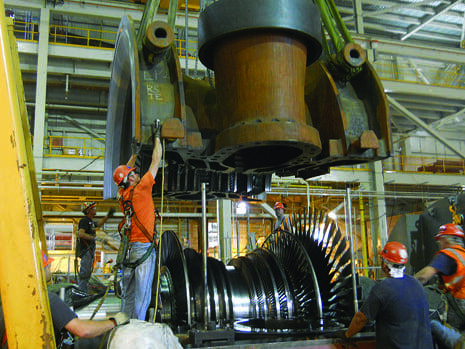 CB&I (formerly The Shaw Group) provided the balance-of-plant engineering, construction services, and management, plus erection services for the steam turbine under an FFP. AEP’s project manager, Joseph DeRuntz, noted the high level of cooperation among the major contractors and, in particular, the CB&I and B&W craft workers and AEP plant staff—especially in the area of worker safety. Unlike other recent major power plant projects, finding the required number of qualified journeyman workers was not a significant problem. 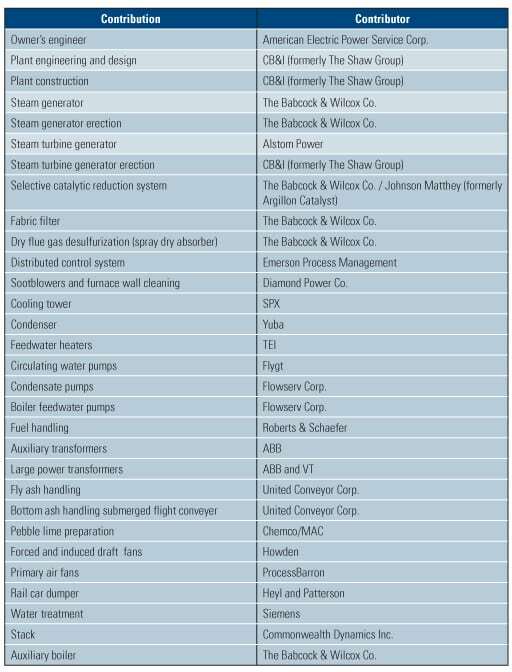 Other key suppliers to the Turk Project are included in Table 1. The regulatory and court battles did take their toll on the project schedule, eventually delaying the project 15 months beyond the original startup date. AEP and SWEPCO modified the contract cost and delivery arrangement with CB&I to account for the schedule and financial impact of the delay. AEP also elected to assume overall management of the project once the settlement agreement (discussed below) was reached. AEP set an expedited construction, startup, and commissioning schedule with the goal of completing the project by the end of 2012. According to DeRuntz, the changes were necessary because the two organizations’ goals were not in alignment during final stages of the project: AEP needed to maintain the committed schedule that would have Turk operational by the end of 2012, but that was not a feasible target for CB&I under its FFP contract. The solution was to convert the CB&I FFP construction contract to a time-and-materials contract with certain incentives. DeRuntz offered his opinion that the CB&I construction work was well managed under both contracting approaches. The changes paid a large dividend to the project team. 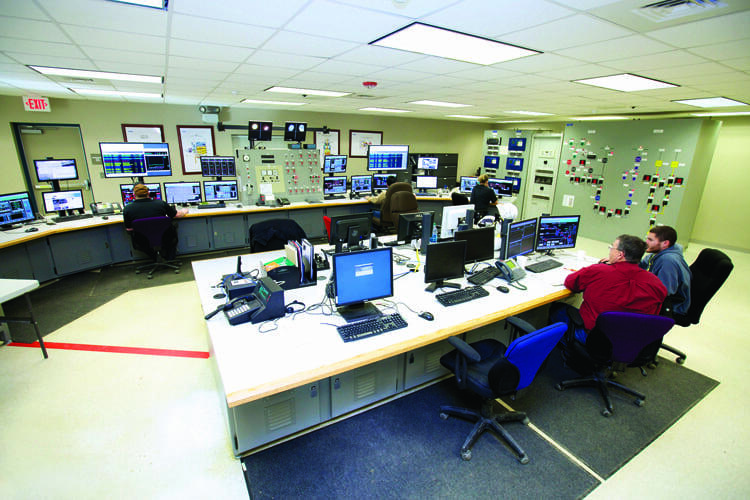 When the plant declared commercial operation on Dec. 20, 2012, on schedule, all control systems were in automatic control and the unit was released for dispatch to the Southwest Power Pool (Table 2). The plant control room is shown in Figure 1. First USC Boiler in the U.S. The Turk Plant was the natural evolution of AEP’s early use of supercritical boiler technology which began with the Philo Unit 6 in Ohio (the world’s first supercritical unit, which operated from 1957 to 1975). Philo 6 was a double reheat design rated at 120 MW, and it operated at 4,500 psi with steam temperatures of 1,150F, 1,050F, and 1,000F. Its boiler was also supplied by B&W. Some may point to Philadelphia Electric’s (now Exelon’s) Eddystone Unit 1 as the first USC plant because it successfully operated at ultrasupercritical levels when commissioned in 1960. However, today’s advanced metallurgy was not available at the time, and the plant could reliably sustain design steam temperatures for only a few years before a steam temperature derate was necessary. Your definition of what constitutes a USC plant will guide your decision about which plant deserves status as No. 1. Eddystone Unit 1 was retired in 2011. Although improved materials are now readily available, no other USC units are planned for the U.S., although there are many in operation or under construction in other parts of the world. Following Philo Unit 6, AEP constructed 24 additional supercritical units and is currently operating 22 of those units. The Turk Plant continues AEP’s legacy of building the nation’s cleanest, most efficient pulverized coal–fueled generating plants. The Turk Plant USC boiler technology is based on the B&W opposed-fired, spiral-wound universal pressure (SWUP) balanced draft boiler design that burns a low-ash, low-sulfur Powder River Basin coal. The boiler is a two-pass arrangement with multi-lead, ribbed-tube, spiral-wound lower furnace; mix transition to the vertical tube upper furnace enclosure; two-pass arrangement pendant heating surface; and the two parallel path gas-biasing horizontal convection pass with reheater, primary superheater, and economizer banks. Stainless steel tubing is used for the superheater and reheater. The high-temperature headers and steam leads are 9Cr creep strength enhanced ferritic steel (Figure 2). 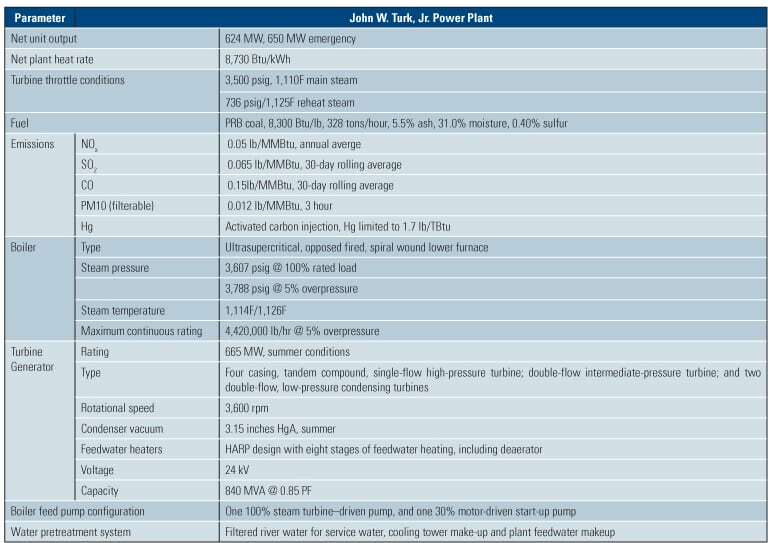 The boiler steam flow, operating pressures and temperatures, and other key plant performance parameters are shown in Table 3. 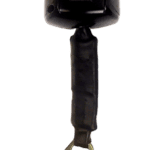 The state-of-the-art air quality control systems supplied by B&W provide what is described as the lowest air emissions of any coal plant in the U.S., when burning PRB coal. The boiler design incorporates close-coupled overfire air for control of NOx and DRB-4Z low-NOx burners. 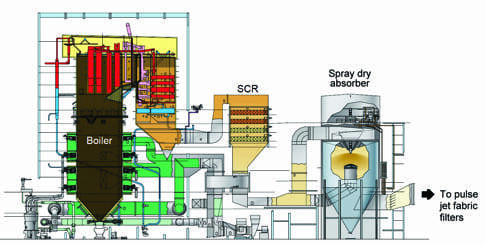 A selective catalytic reduction system is used for additional NOx control. Finally, an activated carbon injection system is used for mercury removal. Downstream of the boiler, the exhaust gas is treated by a spray dry absorber (SDA) system with pebble lime and recycle ash for SO2 reduction and a pulse jet fabric filter baghouse for particulate removal. Figure 3 illustrates the arrangement of the USC boiler and air quality equipment. The PRB coal burned by the Turk Plant is mined in northeastern Wyoming near Gillette and is delivered by Union Pacific Railroad in 125-car unit trains (each car contains 120 tons) an average of three times each week. The boiler consumes approximately 310 tons of coal per hour. The average coal pile storage is approximately 40 to 45 days. 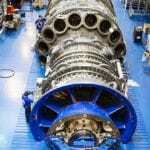 The steam turbine configuration is a condensing tandem compound single-reheat, 3,600-rpm steam turbine generator set. The Alstom STF60 design includes a four-casing steam turbine with a single-flow high-pressure (HP) turbine, a double-flow intermediate-pressure (IP) turbine, and two double-flow downward exhaust low-pressure (LP) turbines. The IP turbine is connected to the LP turbines through crossover pipes (Figure 4). The Turk Plant was designed with eight heaters to raise the final feedwater temperature to improve efficiency as compared with a traditional subcritical unit utilizing six to seven heaters (Figure 5). Four stages of low-pressure condensate heaters, one deaerator, and three stages of HP feedwater heaters are used. An extraction from the HP turbine steam path feeds the top heater, thus the cycle is a heater above the reheat pressure (HARP) design. The advantage of the HARP cycle is that it allows optimizing the final feedwater heater temperature independent of the reheater pressure, which reduces moisture at the LP exhaust. The final feedwater temperature is 570F. The Turk Plant uses a 100% single-flow boiler feed pump turbine that is fully integrated into the main steam turbine systems. 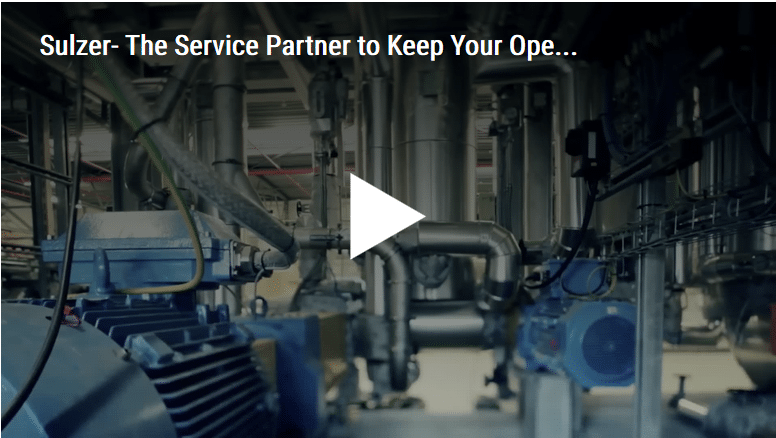 The entire steam turbine system is controlled by an Alstom digital control system. A motor-driven boiler feed pump is employed for unit startup and has a nominal capacity of 30%. The Alstom approach to designing steam turbines is to use separate cylinders for the HP and IP turbines, allowing the designer to optimize the number of turbine stages given the long expansion line of a USC unit compared to a subcritical unit. The number of stages in the HP turbine, as well as in the IP turbine, was increased by about 25%, compared to a typical subcritical application. Other design parameters were considered when maximizing performance of the Turk Plant steam turbine design for USC steam conditions. Full arc inlet scrolls improve efficiency and minimize component thermal fatigue damage. 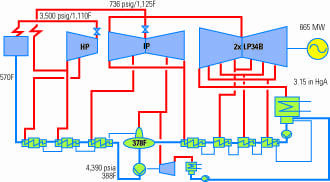 In this design the control valves typically operate wide open with flow control through the boiler feed pump. Overpressure operation provides the turbine flow margin to produce additional electrical output when required. Any project of this size and complexity will inevitably have unexpected problems that require innovative solutions, particularly during design and construction. The Turk Plant was no exception. According to Jim Zucal, AEP’s director of construction, the solution was to construct another 60 acres of laydown area that would hold all the boiler component parts and the thousands of other parts and assemblies soon scheduled to arrive (Figure 6). The placement of the piece parts was organized, and an equipment preservation process was put into action. B&W later took advantage of the large laydown area by setting up a preassembly shop where piece parts were assembled into large modules that could be placed by a single crane movement, such as for the SDA tank. The preassembly area was an important development, as the plant did not have rail access during construction, and all piece parts arrived by truck. Special Pipe Properties. The very high steam temperatures and pressures require specialized pipe metallurgy, in this case P91/P92. AEP’s quality organization was faced with a number of problems when performing the necessary nondestructive testing (NDT). First, the rules for NDT examinations and quality testing evolved several times during the project, specifically related to weld testing. Those rule changes also required a change in the techniques used to install the piping, which led to challenges with shop and field weld testing. Dan Duellman, AEP’s director of engineering, related that AEP worked with the contractor and suppliers to develop a revised post-weld heat treatment process that would comply with the applicable codes but that was also possible to accomplish efficiently and reliably on a construction site. 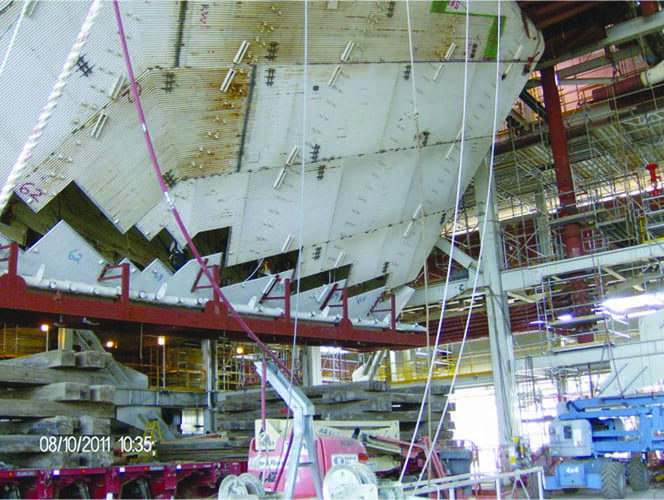 After final NDT processes were settled, the weld reject rate on the boiler erection was only 1.17%, according to Zucal. Water Woes. The plant is evaporative cooled, so a source of plant makeup water must be available close to the plant site. As the Turk Plant was nearing completion, AEP and the Corps of Engineers continued to settle an appeal related to the plant’s impact on designated wetlands that are adjacent to the Little River and the AEP intake. In fact, the caisson and pumping equipment were already in place and all that remained was to complete a boring at the water line to install the intake screen, but construction of any type was precluded while an injunction was in place during the appeal. When system checkouts were scheduled and pipes were to be filled, water wasn’t available. Those filing the appeal hoped to slow or stop startup by denying water to the plant at a crucial time. Instead, AEP developed an agreement with the Hope Water and Light Commission, located in Hope, Ark., whereby AEP was allowed to connect with Hope Water and Light’s existing intake pipeline, located a short distance from the AEP intake, and receive the needed makeup water required to support commissioning activities. The 14-day storage requirement in the plant’s storage pond was also satisfied prior to startup. The mechanical draft cooling towers require ~90% of the makeup water; the other ~10% is consumed by the various water treatment processes and boiler water makeup. After the litigation settlement, the remaining intake work was completed and the temporary connection to Hope Water and Light was removed. Pond Lining Problem. In this region, water makeup and wastewater storage ponds are usually clay-lined. After startup, makeup water testing revealed increasing levels of dissolved solids for the water stored in the ponds. The soluble characteristics of the clay in southwest Arkansas caused the increased dissolved solids. Hence, the ponds were subsequently HDPE lined to mitigate this problem. 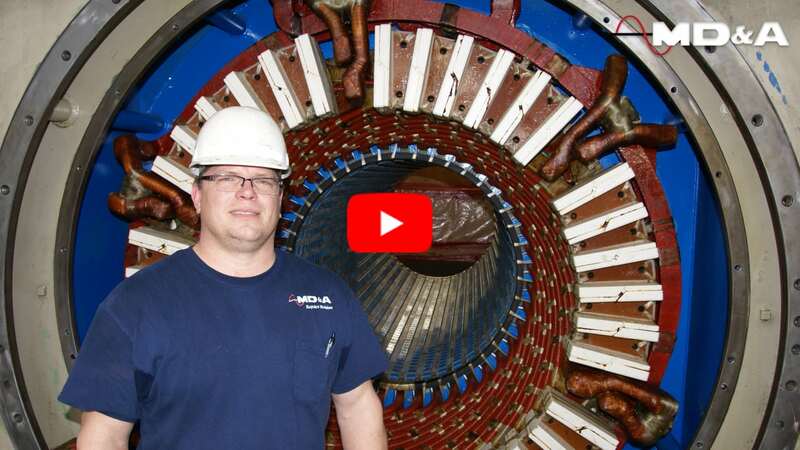 AEP and CB&I staff were responsible for initial checkout, but AEP plant staff were responsible for initial operation of the plant during startup and commissioning. This approach is somewhat different than other recent power projects that are similar in scope and scale. Usually, suppliers use their startup engineers at the control panels during initial operation, with plant operations getting on-the-job training. As a result of its approach, Turk Plant had a better-trained staff with a much higher level of ownership in the final product. The plant staffing chart shows approximately 110 employees are required to operate and maintain the Turk Plant, and most of the staff were newly hired. However, newly hired doesn’t mean the staff wasn’t well prepared to operate the plant. A high-definition training simulator was purchased, and all new staff were thoroughly trained in the unique operating requirements of a supercritical Benson boiler before system checkout and startup began. SWEPCO also began training a new generation of plant operators several years before construction began. In February 2008, SWEPCO made a $1 million donation to the University of Arkansas Community College at Hope to fund scholarships for technical and industrial programs (although the scholarships were made available to students attending several Arkansas community colleges) for workforce development in southwest Arkansas, where the Turk Plant is located. The programs of study included welding technology, industrial maintenance, industrial electricity, and the like. “This gift is so important in providing access to necessary training and education that citizens in Hempstead County and surrounding areas need as community supporters of the Turk Power Plant project,” said SWEPCO’s McCellon-Allen. Many of the new employees at the Turk Plant were graduates of these programs. The plant was completed with an exemplary safety record. More than 12.7 million man-hours have been expended on the project to date, with an OSHA recordable rate of 0.65. The safety performance for 2012 was even better: 2.9 million hours worked with only a 0.33 recordable rate. Unit availability since startup has been exceptional for a brand new plant based on unfamiliar USC technology. Data for the first quarter of 2013 reveals an equivalent availability factor of 78.3% with a net capacity factor of 69%. Control room data shows a heat rate as low as 8,700 Btu/kWh. This equates to an excellent 39.2% net thermal efficiency, which is extraordinary considering the plant burns PRB coal. The final measure of any plant goes beyond bare operating statistics. The Turk Plant should also be viewed as one of the power industry’s premier success stories. We also remain hopeful that the use of USC technology will not end with the operation of this single plant. The Edison Electric Institute (EEI) agrees. It announced on June 10 that the Turk Plant was its selection for the 2013 Edison Award. EEI President Tom Kuhn noted, “The completion of the John W. Turk, Jr. Power Plant represents the technological advancement that will enable the next generation of power plants to use coal with exceptionally high efficiency while producing extremely low emissions.” We agree with Kuhn’s assessment. Congratulations to the Turk Plant project team and operating staff that was responsible for this award-winning project.